Coal truck weighing at a coal mine. Empty coal truck being weighed at a road weighing station before being loaded with coal at the coal-loading facility in the background at upper left. 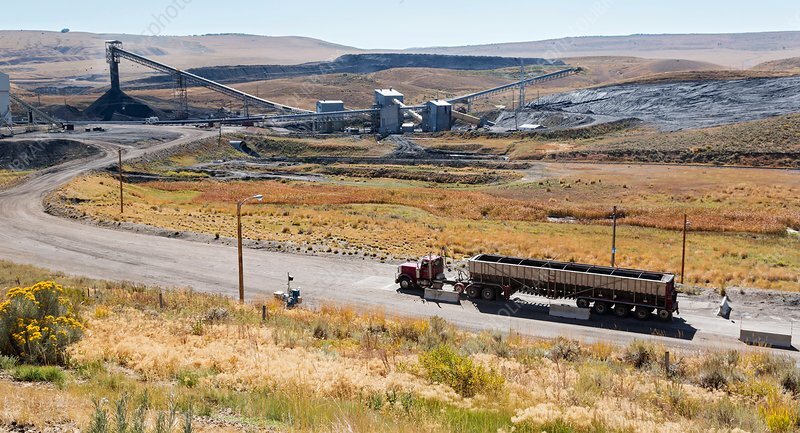 This is the Twentymile Mine operated by Peabody Energy in Oak Creek, Colorado, USA. Peabody filed for bankruptcy protection in April 2016. Photographed in September 2016.